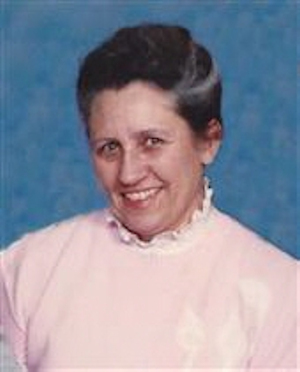 Obituary – Horton, Kathleen Mary (Hesson) « Perry High School Alumni Association, Inc.
Kathleen Mary Horton, age 79, died Tuesday, March 13, 2012 in Oklahoma City after a long illness. She was born May 29, 1932 in Ponca City, OK to Arthur and Ollie (Trimmer) Hesson and grew up in Stillwater, OK. She was a graduate of Perry High School. She moved to Mustang in 1962 and worked many years for the State of Oklahoma as an accountant, retiring from ODOT in 1993. She was preceded in death by her parents and her husband Andy. Survivors include six sons Harold Horton and wife Maxine of Mustang, Donald Horton and wife Glenda of Hot Springs Village, AR, Bobby Horton and wife Roma of OKC, Gary Horton and wife Carla of Hot Springs Village, AR, Rick Horton and wife Lanelle of Stella, MO, Russ Horton and wife Evelyn of Norman and one daughter Andrea Fichte of McAlester. Also by nineteen grandchildren, nine great grandchildren, three great great grandchildren, five sisters Shirley Leisher and husband Luin of Stillwater, Donna Casey and husband John of Winterville, GA, Jean Lile and husband Roy of Leon, KA, Jerye Carter and husband Dave of Roswell, NM and Elsie Howell and husband Charles of Clinton. Visitation will be from 1pm to 8pm on Friday with family greeting friends from 6pm to 8pm. Services will be held on Saturday, March 17, 2012 at 10am in the Chapel of The Good Shepherd at McNeil’s Mustang Funeral Service, Mustang, OK. Interment will follow in Pleasant Valley Cemetery, Wheatland, Oklahoma.